This momi and her 11-year-old son just came from a place where her boy learned stop motion animation. He is joined by other curious kids almost his age, and others even younger than him. Together, they made a short animation about Zombie Apocalypse using toy soldiers, Lego’s, and building blocks. Of course, everything wouldn’t be successfully weaved together without their imagination and great interest in technology and the arts. The place is called Sparklelab, and it is finally coming to a location near you soonest. My son is excited for July. We were told that Sparklelab will open its first franchise location in Quezon City. This means we need not travel to San Juan for his Get Reel class. We live in Quezon City and he could even enroll in Sparklelab’s after school classes should he wishes to. Sparklelab designs playful learning experiences for youngsters in the field of STEAM (Science, Technology, Engineering, Arts, and Math). Through its after-school and summer workshops, the kids will use their imagination, nurture their creativity, and explore Technology and Sciences to create unique toys, games, and gadgets. Yes! At Sparklelab, kids as young as 3.5 years can be a scientist, an artist or even an engineer. It is because Sparklelab aims to prepare our kids for a successful future by exposing them to critical 21st-century skills such as imagination, exploring, experimenting, and designing to name a few. At the end of the class, Sparklelab guarantees to have created problem solvers, innovators, and life-long learners. Founded in 2013, Sparklelab first came in the country through the initiative of Rosanna Lopez. Ms. Lopez graduated from Georgetown University and holds an MA from Teachers College at Columbia University. She also earned another masters degree in Digital Arts from the Universidad Popeu Fabra. For a decade, she worked in the field of education with the United Nations, UNICEF, and the Institute of Play in New York. This year, Jacqueline van den Ende joined Sparklelab as CEO. 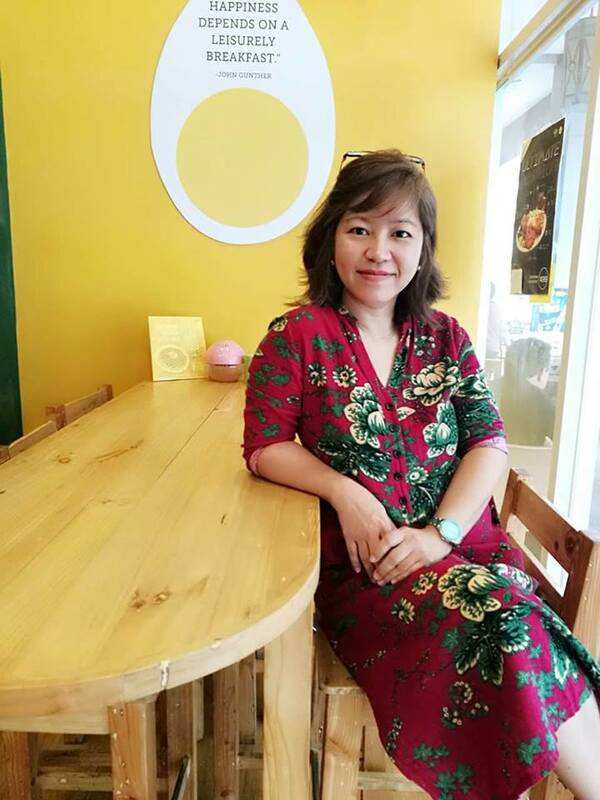 She has a background in private equity and founded multiple successful companies including Lamudi Philippines and De Kleine Consultant in the Netherlands, UK, and Sweden. Behind these powerful ladies are Sparklelab’s team of investors who have studied at Harvard, Wharton, Georgetown, and Stanford. These entrepreneurs and investors believe in revolutionizing education to better prepare kids for success in the 21st century. 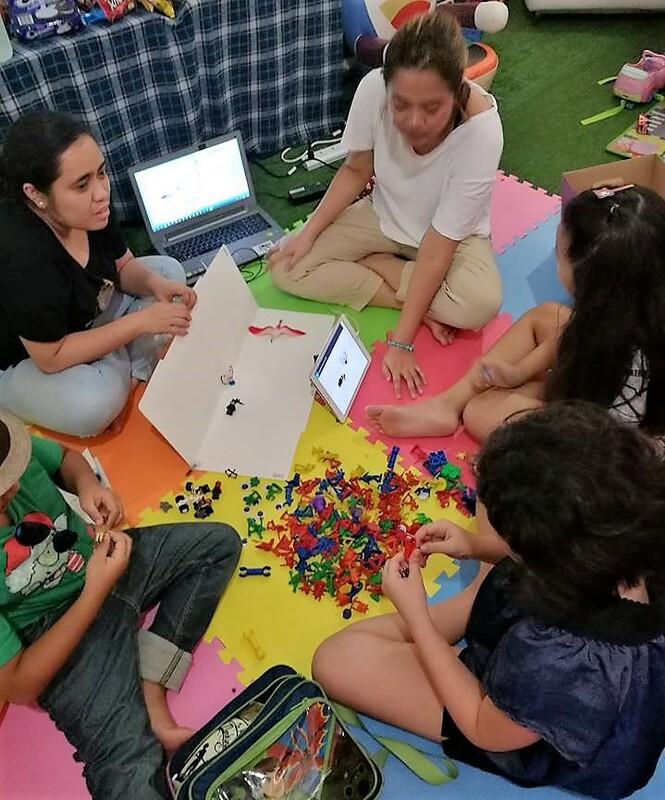 Make learning extraordinary at Sparklelab| The team Zombie Apocalypse with my 11-year-old son wherein they did a stop motion animation about a terrifying zombie invasion. This is a series of workshops that focus on game design and development. Throughout the workshops, youngsters play games, modify them, and play them critically and reflectively. Through this workshop, the kids learn how to design an objective, define rules, and develop mechanics and challenges. From board games, card games, and role-playing games to digital and virtual games, kids will surely emerge as pros in the gaming world. Kids are left to experiment with a variety of materials for them to discover and imagine the possibilities each material affords. They learn how to bring their toys to life, make them talk, move and see. This is the workshop which my son just joined. Together with his new found friends, they made a storyboard, directed their chosen materials, and expressed their concept into a film. The workshop my Big Bunso eyes for the next time. Here, they will learn and discover how to build their own robots. They are also expected to earn new skills in coding, soldering, and creating quirky little creatures through artificial intelligence. How exciting it would be to create your own shoes that light up or how about your own solar powered head gear? Stitches and Circuits focuses on e-textiles, wearable technology, and soft circuits. This workshop is undeniably perfect for every geeky fashionista! A workshop consists of six sessions of three hours each. A morning session is from 10 am to 1 pm, while an afternoon class is from 2 pm to 5 pm. The group size is between 5-12 kids. At PHP 8,500 per workshop, your young man or woman would definitely learn something truly extraordinary this summer. Sparklelab has the whole of May and part of June for workshops. Want to check the schedules? 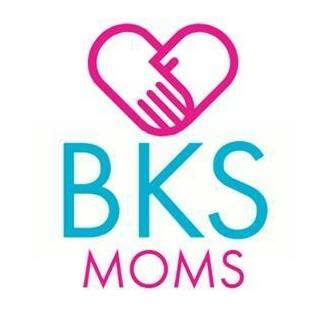 Momi Berlin shares Sparklelab’s website and Facebook for schedules and added information. Sparklelab is also open for a free trial any time! 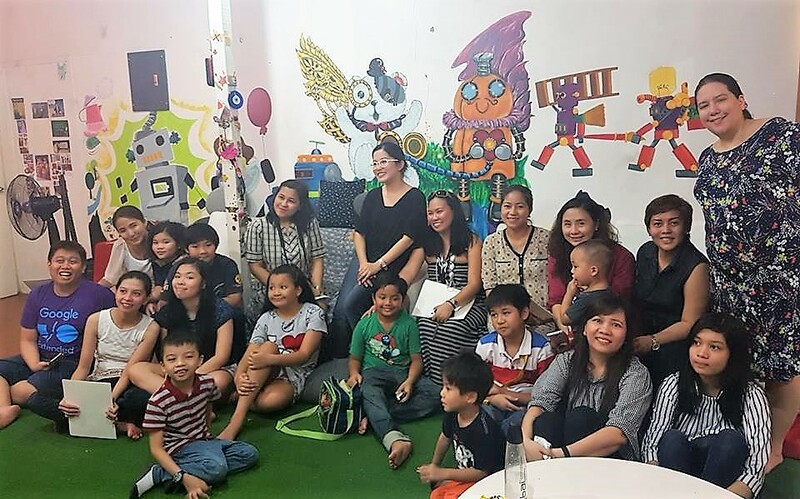 Make learning extraordinary at Sparklelab| The Sparklelab workshop on stop motion animation with mommy bloggers and their kids. As a mom, I love my kids to excel in Science, Technology, Engineering, Arts, and Math. Because these are the fields which I believe would all the more help them be successful in the future. Thus, when I learned of Sparklelab, I hurriedly grabbed the opportunity to try what it could offer. And I have witnessed how Sparklelab was able to bring the joy of learning to kids even at a tender age of three. 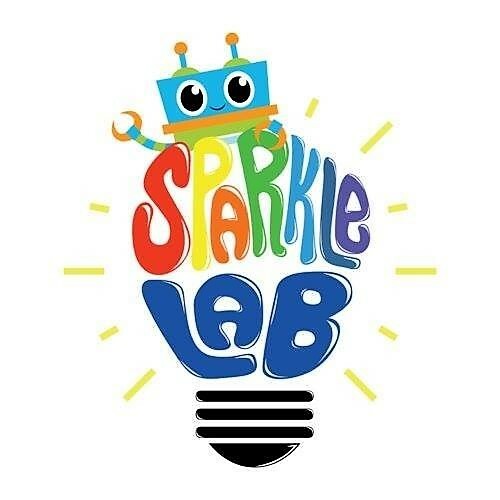 If your kids still do not have something to do this summer, I encourage you to let them try Sparklelab. Because at Sparklelab, they have such extraordinary ways for individuals to learn and discover their full potential. 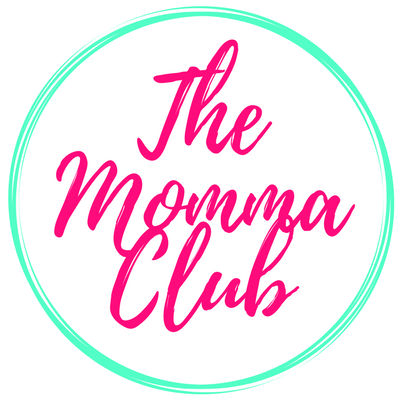 I find these workshops to be brilliant options for a spending the summer in a fun way, especially when the parents have to work and the child has to stay at home. By going to these workshops not only do they have fun but they also learn useful and creative things, helping develop their imagination. This is definitely education revolutionised! Recently I came through these STEAM workshops and programs for kids.It’s nice to see that even young kids learn coding.Glad to read about your experiences with your son.I am hoping to use such workshops when my kid grows.Sure,he will have interest for these activities! Love the idea of learning while playing. The kids have options on what to pick as well depending on their interest, that’s a good one. I don’t have kids yet but this is definitely something that I would want my kids to try in the future. Great job, Sparklelab! Sparklelab is quite interesting. I have never heard of it. I agree with you that this one is such a great activity for kids this summer. I think I’d try this for my son. Hopefully he enjoys his time with other kids too! Workshops are great since it lets you meet new people. Moreover, it’s a chance to enhance your knowledge. This is really a nice summer activity for kids too. I do wish the founders would do something for all ages! Wow! Sparklelab is absolutely brilliant! I think it’s a perfect way of learning new things through play. Kids today are usually not interested in ‘learning’, but if you say to them ‘lets play a game’, they will eagerly wait for your further instructions. So, thumbs up for Sparklelab, can’t wait to have them in my city. It’s a great opportunity for kids to learn and enjoy while they’re on vacation. 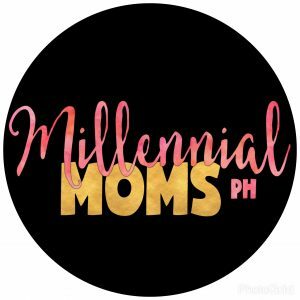 It would be great however, if they will have a branch or branches in different provinces and share their teachings to other mommies and children. Looks like an interesting activity. I like how the latest technology is being used to churn out such tools of learning. during my times there was hardly any such facilities. This spread out to other cities and countries so that all can benefit. Great pictures. Your post made me miss working with kids. They are so raw and fun! I did work one summer at a swim school and helped teaching kids how to swim. Playing while studying really work well with kids. Workshop like this is highly suggested for kids during summer break. This is amazing! SparkleLab is definitely changing the world for the better. It’s an efficient and fun way to help children learn and discover new things. I’m so glad that we have something like this nowadays. I tell you, what I would do to have experienced something like this when I was younger. Workshops are fun and do a lot to help a child develop thinking skills and also socializing ones. I’m glad he enjoyed the workshop. Thanks for the support.